Hey everyone! In today’s episode I share the mic with Jim Twerdahl, president of many companies, including JBL, Marantz, and a biotech startup. Tune in to hear Jim discuss the importance of referrals and professional connections for faster growth, the marketing lessons he’s learned from being president of JBL and other companies, his process for hiring and interviewing executive candidates, and why most startups fail by getting diverted by too many potential opportunities. [00:33] Before we begin, please leave a review and rating and subscribe to the Growth Everywhere Podcast! [01:38] Jim is a native Chicagoan and moved East to go to business school. [01:53] He became president of a company for the first time at age 27, but was fired a year later. [02:08] By a happy coincidence, he ended up in a HiFi business, which eventually led to his move to JBL in California. [02:32] He then moved on to become president of a biotech startup. [02:57] Later, he became president of Marantz, after which he and a friend bought several small companies. [03:37] His business partner went back to academia, so Jim started a consulting business. [04:03] He also started an investment practice. [04:50] Jim has made a lot of mistakes, but he has learned from them and gained a great deal of wisdom. [05:41] Really understanding your demographic/target market is key to marketing success. [06:37] Jim finds Peter Drucker’s books intuitive and thoughtful; they proved to be helpful to his career. [07:01] Lately, he’s been reading The Five Dysfunctions of a Team. [08:04] Managers should try to join organizations that will be supportive of them in the present and future. [08:33] Jim was a member of YPO. [08:43] He has made life-long business connections because of this group. [08:50] He is also a member of Provisors, a network of professional service providers in California. [09:25] There is an important lesson in the book Never Eat Alone: Jim and his partner tried to have breakfast meetings with new people every day in order to gain leads/plant a seed. [11:00] They would meet one person and ask for a potential connection to another person. It was a chain of connections, which helped build the business. [11:35] Whenever you can, try to refer someone to another person. [11:40] Jim believes there is a huge amount of power in referrals: if you refer someone to another person, the person you referred feels indebted and may be more inclined to help you in return. [12:46] It takes a lot of time to be part of professional organizations, but it gives you a wider array of resources. [13:05] All of Jim’s business is based off of referrals; he feels bad for slacking on the marketing side of his practice, but referrals have served him well. [14:27] Jim bought businesses because he wanted to take underperforming companies, add value, and then sell them for a profit. [15:09] Everyone underestimates the difficulty of adding value to a preexisting company. [16:00] Always try to think about operating synergy when you are integrating businesses. [16:22] Consider how to develop marketing strategies that complement one another. [16:45] JBL was worth $50 million when he started and $75 million when he left. [17:25] The method for bringing on executives varies by industry. [17:39] Referrals are a good source for finding an executive/new employees. [17:55] Search firms are great and often worth the high price you have to pay. [18:12] Most people make the mistake of hiring people who are “too much in their own image”. [18:28] Really consider the skills and personality of the person you’re bringing in. In order to do this, have more than one person interview the new hire. [18:48] Jim also strongly recommends interviewing in a more relaxed social atmosphere (over dinner or drinks). [19:30] Ask open-ended questions of the references and try to read between the lines of what they are saying. [19:53] Hiring is about a 50/50 proposition regarding the success rate. [20:29] Ideally, the interview process should be multiple steps and have multiple points of interaction. [21:20] Jim recommends Zero Moment of Truth. What should I talk about next? Who should I interview? Please let me know on Twitter or in the comments below. Did you enjoy this episode? If so, leave a short review here. Subscribe to Growth Everywhere on iTunes. Eric Siu: So what, I mean being President of JBL and all these other companies, what are some key kind of, what's held true in terms of marketing? What's been the same consistent thing that you know to be true around growing these kinds of businesses based on your experiences? Jim: First of all, really understanding your consumers and target markets and being able to segment and focus and not get too diverted into lots of different activities, but try to have a key direction you can go in, and understand what it is you're trying to accomplish, and not be overly opportunistic. Especially in early stage companies when everybody is chasing the dollar, it's very easy to get diverted by potential opportunities that take you in another direction and destroy the focus on what the main job is, and so I think it's keeping focus more than anything else that's important. Eric Siu: And are there any books, any kind of you know, people that you've followed to get better and better at kind of what you did? Whether it's marketing books, business books, 'cause you talk about focus and things like that. I'm just wondering like, what are some things that really helped you grow into the entrepreneur that you are? Jim: Yeah it's been a few years since I've read them but I think virtually all of Peter Drucker's books, I think they're fabulous, and I think there's a very, not only intuitive but thoughtful, logical, well reasoned scholar, and manager. He was terrific. And you know any number of other ones that are kind of great books that come and go, but I think it's kind of cumulative knowledge. Lately I've been reading one called "The Five Dysfunctions of a Team", and it's interesting in here, when you go working with teams, we think that they're cohesive and working well together, although there are a few interpersonal kinds of things that go on, but in fact teams can be their own worst enemy at times, when they feed on each other's dysfunction. So it's kind of interesting to try to figure out those kinds of things. Eric Siu: Interesting, and then speaking of I guess, when I think about you, when I first met you it was at an entrepreneurs' organization, you know we're kind of selecting mentors, and then we basically got matched up, and as I got to know you more, my kind of view on you is, you're very well connected, you know a lot of people, especially in the LA area, and you just, I think it's because of these connections, that they help you move even faster with what features of what you're trying to accomplish so, can you speak to kind of what your philosophy is on building relationships, networking, and how you go about, how are you so effective with it, I guess is the main question. Jim: Yeah oh I can, a couple of things. One is I think that managers should try to join organizations that will be supportive of them, both at that time and in the future. So there's some trade groups and trade organizations where you learn much more about your industry, and the more active you are and better known you are, the more you can kind of work in with competitors to gain a stronger position. And personally there are organizations like EO, the Entrepreneurs' Organization, or I was a member of YPO and it had evolved into, when you're over age 50, the World's Presidents' Organization. It's now merged back into YPO and it's called YPOG, and have lifelong both personal and business friends as a result of those kinds of organizations. In Los Angeles, I'm also a member of a organization called ProVisors, which is a network, I think now almost 7500 professional service providers to companies. Majority in southern California but it's now in northern California, and in Chicago and Boston, couple of other places. And we meet on a monthly basis and get to know lots of people, and end up having lunches with a great many people. You know, I can't remember, there was a book not long ago, I think it was called something, "I Never Have Lunch Alone"? Eric Siu: "Never Eat Alone" by Keith Ferrazzi, right? Jim: Well there's a important lesson there, and that was years ago when my partner and I were trying to buy some small companies. We were in with these other people and they said, "We've been working at this for about two years and haven't been able to come up with something." Well we made a point of having a breakfast or a lunch with somebody different every single day, in trying to make sure that we left one of those breakfasts or lunches with at least one lead of some kind to follow up on, or at least planting seed of what we were trying to do, or what our goals were, so if they happened to meet somebody in the next week or two, they might remember that and suggest us. So we were to [inaudible 00:10:03] as a result of that. Eric Siu: Got it, okay. And how long ago was this, when you started to make sure you were always eating breakfast, not eating breakfast alone and networking with these people in the morning? Jim: Probably about 15 years ago, something like that. Eric Siu: Okay so 15 years ago. Jim: Yeah and part of it is where you're located geographically, you know at times I was located way out in industrial areas, industrial parks, and so you really have to travel a long way to meet somebody for lunch, so it was less convenient in those days. But if you work in an urban area, and just make a number of connections, I think it really pays off in the long run. Eric Siu: Great so I'm wondering, from a tactical perspective, what was your process, 'cause 15 years ago you didn't have the, you know, the sales tools and all this kind of automation that you have today right? So how did you go about finding the right people and then continually sourcing, making sure that every single day you were meeting the right people, 'cause that sounds effective to me. Jim: Well a lot of it was meeting one person, and then talking to them about who they might know that would have an interest in something, or that would, I could be of help to them, or they could be of help to me, so we'd get together. And before the days of, Outlook and other CRM systems, you had Rolodexes, and I remember having a huge Rolodex of cards, and was grateful when the internet came along, so I could get rid of all of that, but it was just keeping track of people, and whenever you can, try to refer someone to someone else, because it shows both people you care about them. And I think there's a huge amount of power in the referrals, because if you refer someone to someone else who does business, they have this kind of natural feeling that they're a little bit indebted. Not in the really outward sense, but in the sense that you've done something for them and they're probably more inclined, they want to do something for you. I mean it might be some other neutral person. So I think the more that you give, the more that you're gonna get. Eric Siu: Yeah, it always comes back to you right? This book from, called "Influence" from Robert Cialdini, basically you give something to somebody else, it's basically proven that they will feel like they owe you, so I think that's just human nature, and well good. It sound like, from what you're just talking about your process, you basically built your own kind of CRM or customer relationship management process and it worked out for you. That's basically what it is, right? Jim: Yeah, very much so. Eric Siu: Okay. So you're in these different groups, you're in ProVisors, EO, YPO, things like that. People are probably wondering in the audience, why both joining so many different groups? Aren't they the same kinds of groups? Doesn't it take a lot of time? Jim: It does take a lot of time, and you have to be disciplined about it not wasting your time, but I think in the long run it pays dividends just because you not only have resources that you can refer to others, but are mutually supportive in trying to get, you know new business. And in the consulting business in particular, it's all of my business is based on referrals. I'm sorry to say I've never spent enough time trying to develop my website or the emarketing side of my practice, but part of it is 'cause I haven't really had to 'cause I've been busy just based on the referrals that I get. Eric Siu: Interesting. You know what's interesting, my mom's a real estate agent and then all her business is from referrals right? And then I actually, you know we took a look at our 2017 client list for the marketing agency, and about 60-70% of our, all the leads that, all the deals that were closed, were all referral. The rest you know was from web marketing, but what's interesting is, even though the web marketing stuff or the podcast, whatever it is exactly, it all leads to in person stuff, which then leads to a deal being done, so at the end of the day, it's all about relationships. You can see that with you, you can see that with my mom, you know, my business. It's just the way it is. Jim: Yes, everything, you know ProVisors, I think the model is something like "Know, Like, Trust, Refer" so you've got to build that relationship to a point of trust before people are gonna want to do business with you. Eric Siu: Right, 100%. Cool. So I wanted to touch upon, you mentioned that you were in the past, or maybe even right now, that you were buying small companies. So what was the impetus for that, and kind of what was your thesis? Jim: I suppose it was, now this goes back more than 15 years ago, so it was the same impetus that a lot of the small private equity firms have today, which is to try to take underperforming companies and add something to them, so that you can sell it for a greater multiple. And it's a lot easier said than done, and especially today because there's so much competition for you know, companies that have you know a million to 5 million in EBIDA and maybe sales of 10 to 20 million dollars. There are a lot of those in southern California but there's also a huge amount of competition for people to buy the good ones. So what you're left with are some that have issues, and I think everybody underestimates the difficulty of adding value to companies that have been run, especially by a local owner/founder for 25 or 30 years, they may be able to add value quickly but the owner/founders also wouldn't have got to where they were if they hadn't tried to optimize to a great extent. So it's not as easy sometimes to add value as you think it's going to be. Eric Siu: Yeah so when you were buying, I think everyone has their competitive advantage or they think they have their competitive advantage when they're buying other businesses so, for example, if I were to buy another let's say online business, I would say I have an advantage versus the kind of average person, so when you were evaluating companies, what were you trying, what issues were you trying to spot, and what were you trying to optimize? I'm guessing, I'm trying to figure out like what your advantage was? Jim: Well I think that when you go into the deals you always try to think about what kinds of operating synergies, so you can hang up, especially if you are merging something into another. And you gotta be careful doing that because the integration process is awfully, it is almost always is more difficult than you think it's going to be. But the, I think the real taredy is, how do you gain marketing synergies or strategies that complement one another, that help both companies grow more quickly than they could have by themselves? And I think that's the real challenge. Eric Siu: Okay. And just so like, I think this will be helpful too, for the size of companies that you helped run in the past, how big were some of these companies, like JBL? Jim: Oh JBL was, what is I got there was about 15 million, when I left was about 75 million, but was part of Harmon International that at the time, was about 150 million. You know it's since become several billion. Eric Siu: Right, okay. So what I'm trying to get at, is with companies like this right, like you know, you're the President, you're the CEO, and you're trying to hire, you're always trying to hire new people, especially executives right? So I remember when we had lunch, I did ask you like what was your process for bringing on executives, and you gave me some good feedback there, so I'm just wondering if you can share with everyone else, how do you go about bringing on executives 'cause these are the people that are really gonna push the company forward? Jim: You know I think it varies some by timing and industry and so on, and I do value and appreciate the work of executive search firms. I think that they are often worth their basically high fees, but without using them, our referrals are another very good source because you would like to be able to talk to people but intimately know the work that certainly is done. So that to me is the best way of getting new people if you possibly can. Often, they, your circles just aren't broad enough so you have to resort to using either search firms or advertising or other means of generating new talent. But as you meet people, you know there's the old saying that you should hire slowly and fire quickly, and I think most people make the mistake in hiring people who first of all, are too much in your own image, that think like they do, and they maybe having a similar background and they have an immediate afinity for them, but that may not be what's really required in the job. So you have to get beyond that favorable prejudice to really understand you know, the skills and the personality of the person you are thinking about bringing in. Jim: One of the ways I recommend doing that is by having more than one person interview them, and I also strongly recommend interviewing them in a way, a place away from your office, especially over dinner with some drinks, see how they handle themselves, especially if it's going to be in a position where they're gonna be out socializing with customers, or with vendors or other kinds of things, to test them in a setting that is apart from a traditional interview setting, and then do this three or four times, and then to the extent that you can, check their references yourself by, and many companies are very shy to give any information today other than, and we want a conservative number, but if you can find people that knew them in their previous job, you just ask very open ended questions, so they're not being, get them in any trouble, and people are very reluctant to say anything negative, but if you read between the lines of the positive things they say, and try to understand how positive they are and what they really mean, and are they leaving anything out, or are they glossing over anything, you can get a pretty good picture of the person. Now having said all of that, I still think hiring is about a 50-50 proposition in terms of whether or not people are really gonna be successful and real stars, and a lot of that is just luck. Eric Siu: So even if you have the most optimized process in the world, which sounds like you had a optimized one, you're still at best probably gonna get 50-50. Jim: Yes. Unfortunately, you just don't know. Eric Siu: Okay, and so the other thing is, I mean you talked about for an executive, you're talking to them four different times. Let's see you have the dinner, and then there's a couple other meetings that you have, so great you do the dinner but like what happens in the other three meetings? How does that go? Is it with you, is it with other people, how does that work? Jim: Well ideally with a number of people that they will be working with as peers at meetings. You can have directors of your company talk to them, it could be any number of different places to get input, but it's the sum of that input. Also, if you discover early on that, for example, you have a peer interview them and you can see that there's going to be a conflict, then you need to figure out how to manage that conflict, or is that conflict going to be so disruptive to you that, no matter how good the person is, you don't want to deal with that conflict, so I think the more interactions you can hang up, the more better off you're gonna be. Eric Siu: Love it. Okay so as we work towards wrapping up, it's the final question from my side. You've already given some book recommendations, Peter Drucker, "The Five Dysfunctions of A Team", what's one more book that you'd recommend to everyone? What do you think is a must read, based on all your experiences? Jim: [inaudible 00:21:22] again so many customers in the digital business, I think that ZMOT is one, it's a quick read, you know it's the "Zero Moment of Truth", are you familiar with it? Eric Siu: Yeah by what's his name again? Peter Thiel. Jim: Peter Thiel, is not. Eric Siu: Oh no, no, no. You said 'Zero Moment of Truth', that's Google's book right? Jim: Well yes but the title is used by lots of people, but the point is that, unlike Proctor and Gambles "First Moment of Truth", which is when a customer walked into a store and saw a package on a shelf and then had to make a buying decision, you know have to approach them much earlier in the process, and make sure that those early contacts are the best possible ones, and ones that can be developed and nurtured as opposed to fleeting glances at a webpage. Eric Siu: Love it. Okay, well Jim this has been fantastic. What's the best way for our people to find you online or contact you? Jim: My website is twerdahlassoc.com. T W E R D A H L A S S O C .com. And my email address is [email protected] T W E R D A H L . N E T.
Eric Siu: Wonderful. Jim thanks so much for doing this. Announcer: Thanks for listening to this episode of Growth Everywhere. If you loved what you heard, be sure to head back to growtheverywhere.com for today's show notes and a ton of additional resources. But before you go, hit the subscribe button to avoid missing out on next week's value packed interview. Enjoy the rest of your week, and remember to take action and continue growing. 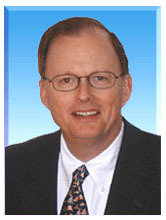 Jim Twerdahl James S. Twerdahl & Associates, Inc.